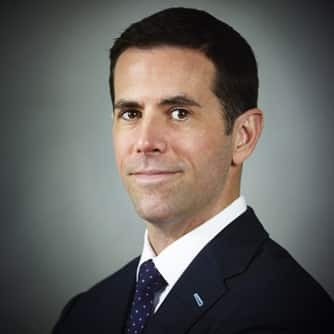 Spencer Lucas is a trial lawyer at Panish Shea & Boyle and specializes in litigating complex catastrophic personal injury, products liability, wrongful death, sexual abuse and sexual assault cases. Mr. Lucas has extensive experience in cases involving traumatic brain injuries, spinal cord injuries and amputations. He has successfully recovered over $400 million for his clients and prides himself on helping survivors of trauma and their families recover from tragic situations. Mr. Lucas is a member of the American Board of Trial Advocates (ABOTA) with an elevated rank of Associate due to the number of lengthy trials to verdict he has completed. He has been the recipient of numerous awards and recognized for his work in the courtroom including nominations as Consumer Attorney of the Year by Consumer Attorneys of California (CAOC) and as a finalist for Trial Lawyer of the Year by the Consumer Attorneys Association of Los Angeles (CAALA). In 2013, Mr. Lucas was recognized by The Recorder magazine “On The Fast Track” and he is recognized annually as a “Best Lawyer in America” by Best Lawyers and a “Super Lawyer” by the Super Lawyers® publication. $48,500,000 settlement at the beginning of trial involving a 26-year-old man who was struck by a corporate vehicle and suffered a severe traumatic brain injury. $30,000,000 settlement at the beginning of trial involving a 33-year-old man who was struck by an out of control tractor-trailer and suffered a severe traumatic brain injury. In Ortiz v. VSC Farms (2018) Mr. Lucas and Marguerite Sanvictores obtained a $5,000,000 settlement for two men who were seriously injured when a Ford F-150 truck driver by a VSC Farm employee made an illegal left turn in front of their vehicle. In Patel v. City of Chino Hills (2018) Mr. Lucas and Marguerite Sanvictores obtained a $3,919,000 settlement for the family of a man who was killed while walking in a crosswalk due to an improperly programmed pedestrian countdown that left him stranded in the middle of the road where he was struck and killed by a vehicle. In Godefroy v. City of Los Angeles (2017) Mr. Lucas and Brian Panish obtained a $6,500,000 settlement from the City of Los Angeles for a man who sustained catastrophic injuries when he crashed his bicycle after hitting a pothole. In Jerich v. City of Glendale (2016) Mr. Lucas, Brian Panish and Jake Douglass obtained a $6,500,000 settlement for a 90-year-old woman who suffered serious injuries fter being hit by a garbage truck. In Alworth v. Southern California Edison (2016) Mr. Lucas obtained a $6,015,000 settlement for a woman who was injured riding passenger on a motorcycle that was struck by a Southern California Edison vehicle. In Ramirez v. Schindler Elevator Corp. (2016) Mr. Lucas, Brian Panish and Jake Douglass obtained a $5,999,999 settlement for a man who was seriously injured when he fell down an elevator shaft. In Dean v. Field Fresh Foods (2016) Mr. Lucas and Jake Douglass obtained a $2,111,941 verdict in Vista, California for two plaintiffs who were involved in a minor property damage rear-end collision. In Gomez-Gonzales v. Joe Heger Farms (2015) Mr. Lucas was part of a trial team that obtained a $5,138,260 verdict for a woman who suffered serious orthopedic injuries after she was hit by a fully loaded flatbed truck making an illegal left turn. In Francisco v. AC Transit (2014) Mr. Lucas and Mr. Panish obtained a $15,313,703 verdict for their client who suffered a back injury while riding on a city bus. In Zastawnik v. Asplundh Construction (2013), Mr. Lucas was lead trial counsel which resulted in a verdict of $19,266,000 for his client who suffered severe ankle fractures and resulting pain disorder after being struck by a construction truck while riding a motorcycle. In Huayanca v. Southland Transit District (2013), Mr. Lucas and Tom Schultz obtained a verdict of $17,120,672 for their 83 year old client who sustained a below the knee amputation after being struck by a bus in a crosswalk. In Stewart v. Westcoast Bulk (2013), Mr. Lucas and Tom Schultz obtained a $5,000,000 policy limit settlement after closing arguments for the family of Henry Stewart who died after a workplace trucking collision. In Rivas v. J.B. Hunt (2012), Mr. Lucas and Brian Panish obtained a $20 million jury verdict for a woman who suffered a traumatic brain injury after being hit by a big-rig truck which left the scene of the accident. In Nichols v. Alameda-Contra Costa County Transit (2011), Mr. Lucas represented a woman who suffered serious orthopedic injuries when she was struck by an AC Transit bus while crossing the street. The case settled for $10.5 million. In Barber v. Mossy Ford (2011), Mr. Lucas and Adam Shea obtained a $14.5 million verdict in a complex tire failure case arising from a accident in which the parents of three young boys were killed. Along with settlements reached with other defendants, the total award was in excess of $22 million. In Curiel v. SSA Marine (2011), Mr. Lucas and Brian Panish obtained a jury verdict of $14 million for a man who suffered serious spinal cord injuries after an intoxicated crane operator dropped a 25,000 lb. container onto the cab of his truck. In Nelsen v. Hillyard Inc. (2009), Mr. Lucas and Brian Panish received a $21 million verdict for an Iraq war veteran who suffered a brain injury after being rear-ended by a commercial vehicle at high speed. In Tilton v. Southern California Gas Company (2008), Mr. Lucas and Brian Panish obtained a $15 million jury verdict for a teenager who sustained a closed head injury after his vehicle was struck by a Southern California Gas Company utility truck. Mr. Lucas was also lead trial counsel in the matter of Haskell v. Farmers Insurance, obtaining an award of $8,652,580 for his client. The settlement offer in this case prior to the award was $300,000. Outside the courtroom, Mr. Lucas is a frequent speaker on various issues, including traumatic brain and spinal cord injuries, and actively publishes articles in trade publications on a wide range of legal topics. In addition to his work as a trial lawyer, Mr. Lucas serves on the Board of Directors of the Los Angeles Trial Lawyers’ Charities (LATLC) which funds many local charity groups focusing on education, survivors of abuse, children, and the homeless. Mr. Lucas graduated from the University of Washington with a degree in Business Administration. During his undergraduate work, he completed an International Business program with honors from the University of Sevilla in 1999. He graduated from Pepperdine University School of Law in 2004, where he was the co-founder of the Pepperdine International Human Rights Program. Fluent in Spanish, Mr. Lucas works with many of the firm’s Spanish-speaking clients and is frequently asked to give legal commentary on national Spanish television and radio programs. He has lived in Havana, Cuba, and Mexico, where he spent his summers in college building homes for the homeless in Ciudad Juarez. Mr. Lucas is a member of the State Bar of California, the District of Columbia Bar and the Washington State Bar Association. He is an active member of the Consumer Attorneys Association of Los Angeles, Consumer Attorneys of California, and Los Angeles County Bar Association, and regularly volunteers his time to various pro-bono legal programs.